While no one plans to become sick or injured, most are glad to have health insurance when it happens. To meet the unique needs of every recipient, there are a number of different health insurance plans. The most common health plans include health maintenance organizations (HMOs), preferred provider organizations (PPOs), exclusive provider organizations (EPOs), and point-of-service (POS) plans. Each has their own set of pros and cons and not all are right for everyone. Here we will compare these popular health insurance plans so that you can better determine which is right for you. HMO insurance plans are one of the most popular types of health insurance plans used by millions of people across the country. HMOs have their own network of hospitals, doctors, and other healthcare providers who have made an agreement to accept payment at a certain level for each service they offer. This agreement makes it possible for insurance carriers to offer health insurance at an affordable price. Under an HMO insurance plan, you can expect to pay lower monthly premiums, as well as lower coinsurance and lower copays. HMO insurance does not cover any out-of-network services except in an emergency. With HMO insurance, you will need to pick one primary care physician (PCP) within your network and all your healthcare services will be through this doctor. If you need a referral to a specialist, you will first need to see your PCP for a referral. The one exception to this rule is for women who would like to see an obstetrician, gynecologist, or OB/GYN. Women do not need a referral for routine healthcare services such as annual well-woman visits, pap tests, and obstetrical care. You can also see any doctor in or out of your network if you experience a true emergency. If you prefer more flexibility when choosing a hospital or doctor, then a preferred provider organization may be a better choice for you. PPO insurance provides insurance holders with the ability to see a wider range of providers with fewer restrictions. In many cases, your PPO insurance will also pay for you to see a health care provider who is not in your network, although it may be a reduced rate. With a PPO plan, you can also see a doctor or specialist without first having to get a referral from your PCP. While there are many advantages of choosing PPO insurance, there are also some drawbacks. With PPO plans, premiums tend to be higher than with other insurance plans. You may also be responsible for a deductible. Individuals with PPO insurance also do not have to choose a primary care doctor. However, this can make it more difficult to get the health care you need and your health experience will not be the same as someone who works closely with their PCP. In most cases, prescription medications are covered with PPO plans which makes it easy to get the prescribed drugs you need. With EPO insurance, you are required to use hospitals, doctors, and other healthcare providers within your network, similar to an HMO. Also like an HMO, you cannot receive care outside of your plan’s network if you wish to receive coverage. One of the biggest advantages of choosing an EPO is that the costs are less. The rates associated with EPOs are generally less than both HMOs and PPOs. However, any provider you see outside of your network is not covered by your insurance which can make it costly to see certain specialists who are not in-network. An advantage of choosing EPO insurance is that you do not need to get a referral to see a specialist which can streamline the process. If you have a true emergency and need to see a doctor quickly, EPO insurance will usually cover the costs. This is especially true if your condition requires that an ambulance that brings you to the hospital. If you require immediate attention, the standards set by the Affordable Care Act make it a requirement that the insurance company treat out-of-network emergency care in the same manner as in-network care. The insurance company will also usually cover your bill if you are admitted to the hospital from the emergency room. 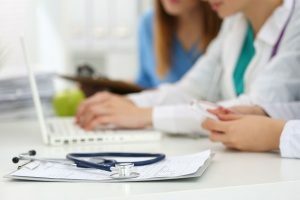 As EPO contracts require certain hospitals, doctors, and healthcare professionals to form a network, rates are usually lower than other types of insurance. While your options may be limited when it comes to providers, you can feel good knowing that any of your in-network expenses will be reimbursed. If you happen to become ill or injured and must see a doctor outside of your network, you will be responsible for 100 percent of the bill unless it is a true emergency. Most insurance companies consider it a true emergency if not being treated immediately would cause permanent harm or jeopardize your life. Point-of-service healthcare plans are a type of managed care plan that combines aspects from both HMOs and PPOs. Much like an HMO, members must choose an in-network doctor to be their primary care physician. However, similar to a PPO members are able to go outside of their network to receive certain healthcare services. However, when members choose to out outside of their network, they may likely be stuck paying most of the costs unless they get a referral. This makes it more advantageous to stay in your network. 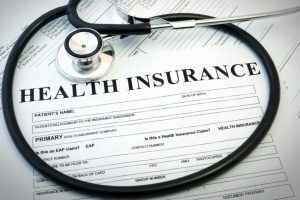 If you are a business owner sorting through the wide selection of health insurance options, you already know that it can be a daunting process. To make your decision a little easier, seek the assistance of an experienced health insurance broker. Health insurance brokers are qualified to offer advice and guidance regarding what type of insurance is best for your business and what benefits you can acquire from each policy. Are you ready to get started by comparing health insurance options for your business? Contact a health insurance broker in your area today.